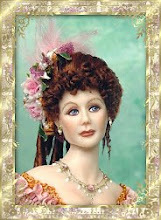 I have been painting doll kits for some of my customers. I happen to be working on some tiny 1/4" & 1/2 scale dolls and it amazes me how much of a difference there is in the size of each scale. 1/4" scale is so tiny, her head is smaller than a small pea, and the 1/2" scale lady has a head just a bit bigger than a pea. The !/12th scale lady is about 5 1/2 ", the 1/2" lady is about 2 3/4" tall, and the tiny 1/4" scale lady stands a mere 1 1/2" tall (if even). 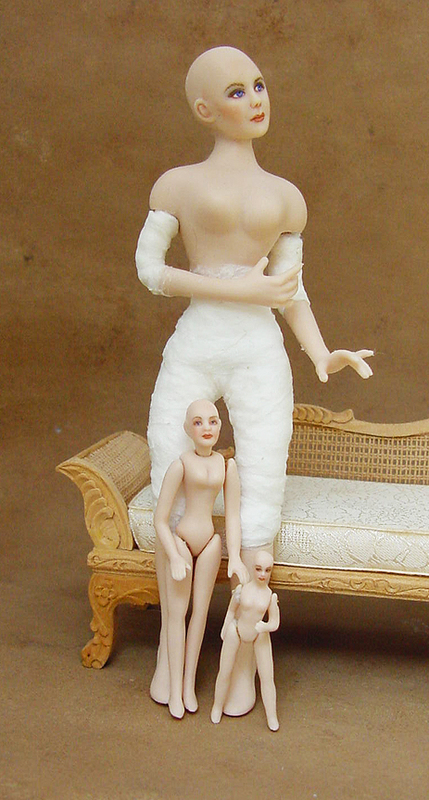 I can imagine how difficult it is to make beautiful dolls in such a small scale. Great work! Wow! Amazing details. Thank you for sharing this with us Gina. I think I will stick to 1/12th scale...lol. Love to see your work. 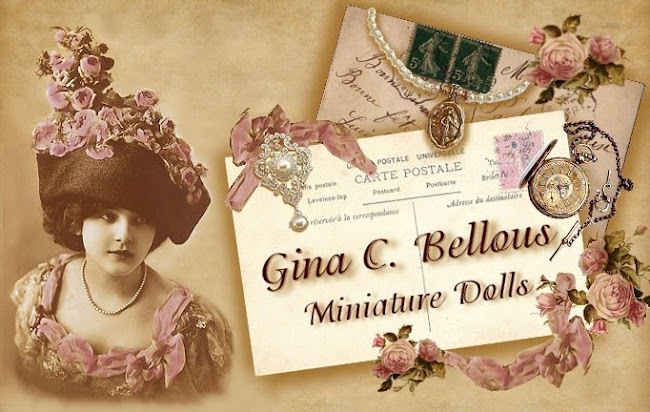 Post some pictures for us to see the finished dolls. Dzieło sztuki! Lalki są piękne. To musiała być bardzo trudna praca. Uściski! Que cosas mas bonitas,yo tengo una casita de 1/24 y no habia visto a las muñecas tan pequeñas,son muy muy bonitas,besos Auxi.